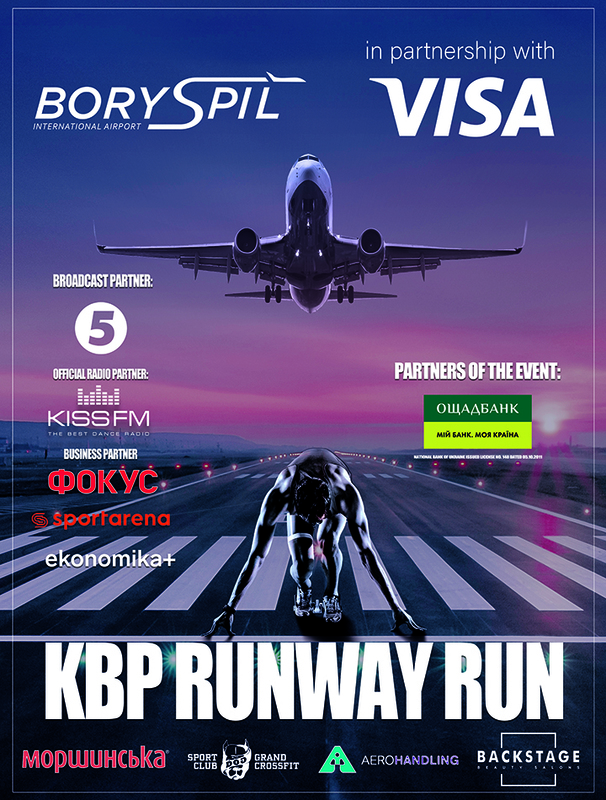 The registration for KBP Runway Run has been completed. At the final stage, from March 8th till the 17th, 200 more participants have joined. The result of the registration has truly exceeded our expectations – 2700 athletes will participate in the race, while the total audience for the event will reach 4000 people! On March 24th, the airport will be happy to welcome many guests. An unforgettable athletic day awaits, organized with the support of VISA! As a reminder our event has gained attention from a rather large audience: the main broadcast partner – “Channel 5”, the main radio partner – “Kiss FM”, business partner – Focus magazine, sports news – Sportarena.com online edition. Boryspil Airport has also gotten new partners – Oschadbank, «DOG&Grand Crossfit» sport clubs, «Backstage» beauty salons. Special entertainment and music program awaits guests. the stellar headliner of the festive concert is TNMK (Tanok na Maidani Kongo) band! Watch us streaming live on March 24th on Channel 5! Morshynska will become the water partner of the race. REMINDING PARTICIPANTS!! Entering the area of the festivities will be possible only by providing a document identifying a person (passport, birth certificate, ID card). First name and last name, which were listed at the time of registration, must match those indicated in the documents!